Existing site maps from the field have provided visual correlates of human constructions visible in the LiDAR imagery based on our enhanced GIS visualizations. Unusual complexes have already been detected: a “citadel”-like construction to the east of the main monuments of El Pilar, and a sunken plaza that appears to link the offset causeways. Neither of these features had been recorded before. 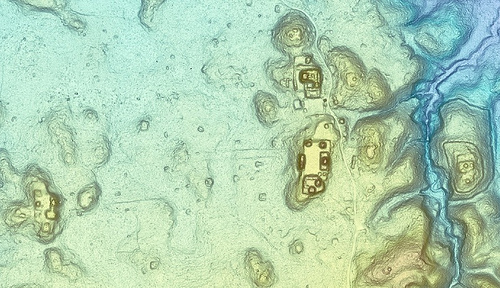 These discoveries change our understanding of ancient Maya land use and the city of El Pilar, but features like these could only have been proven on the ground with the field validation. In the context of our expanding UCSB Maya Forest GIS, the work with the new El Pilar LiDAR data will create an essential base for the site-specific scale research that will enhance our accumulating GIS layers of air photographs, soil studies, plant identification, archaeological surveys, and excavation data. We have already extracted a complete topographic map of El Pilar and have been able to re-register earlier and less accurate observation data stored in our Maya forest GIS. We can also image cross-sections of the landscape to better understand the relationship of the ground and forest. We now are in the process of developing and analyzing the data. 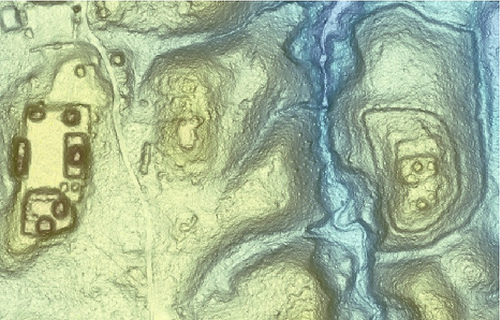 While it may well take the four years it took researchers Bob Carr and Jim Hazard to map Tikal many years ago, our goal in using LiDAR is to not only map El Pilar, but to devise a reliable and repeatable field strategy protocol for the verification of the elements of the imagery for archaeology generally. The amazing preliminary results that are visible with the El Pilar LiDAR speak to the alluded revolution. 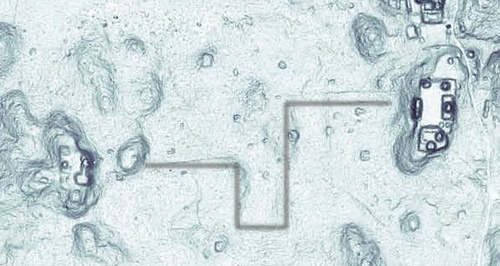 But the work only begins with the initial and remote GIS processing of the LIDAR data. Without the ground truth inspection and the feedback to refine and adjust the GIS feature extraction algorithms, we would not have confidence in the mapping results. The ultimate objective will be a GIS and field protocol that will help other archaeologists working with such imagery to discern the nature of their landscapes. With improved and validated LiDAR results, we will build a foundation for understanding the LiDAR imagery and ancient Maya land use. Field validated through the use of traditional archaeological field methods, LiDAR will be the basis for developing and refining new archaeological research mapping methods and for contributing to cultural resource management.